Wythall Radio Club won the RSGB Region 5 Club of the Year for 2010. 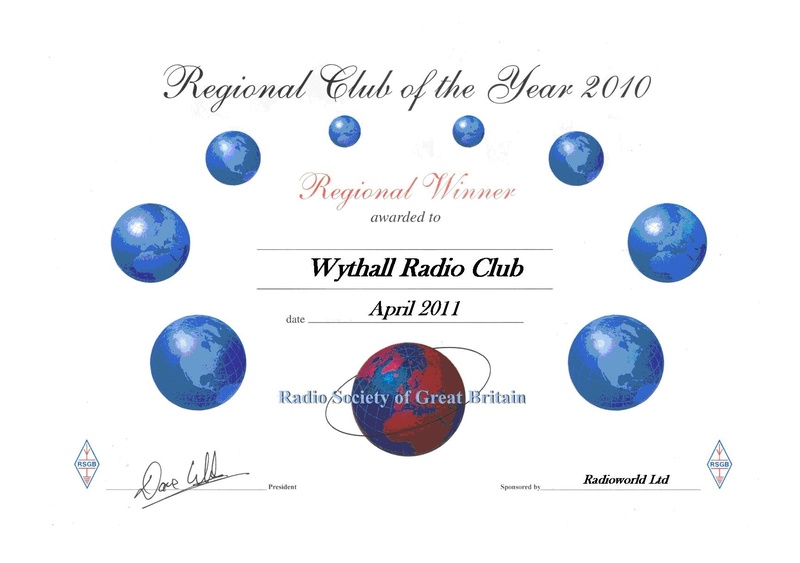 This is the second year running that Wythall have won the trophy, competing against many other radio clubs in the Midlands region for prestigious trophy and certificate. 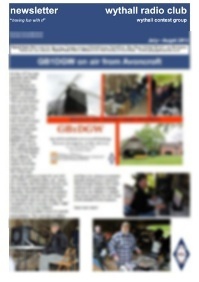 The full range of activities that the club offers its members obviously impressed the judges. We felt it only fair not to enter for 2011 so that other clubs in the region could have a chance to win it. The certificate and trophy were sponsored by RadioWorld Ltd our friendly Midlands dealer in all things radio, our thanks to Dave.